MERCYFUL FATE: ‘In the Shadows’, ‘Return of the Vampire’, ‘Time’ LP re-issues now available via Metal Blade Records! 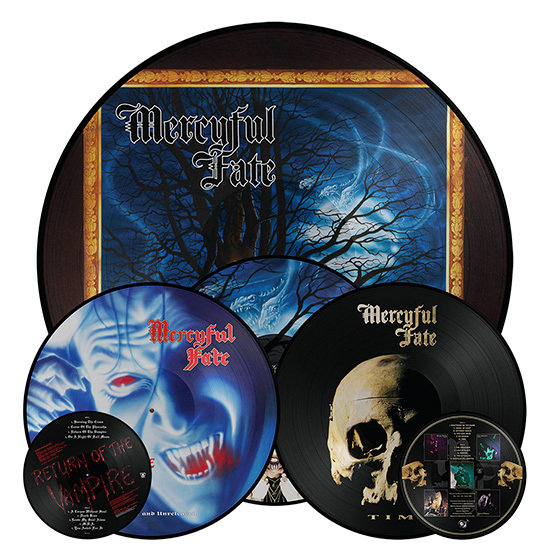 On November 16th, MERCYFUL FATE will release LP re-issues of the classic albums ‘In the Shadows‘, ‘Return of the Vampire‘, and ‘Time‘ via Metal Blade Records. Available as 180g picture discs, these exclusive editions can be purchased now at: EMP or the Metal Blade ebay-store!